We know this business existed. In 1887, Milton H. Marble made a purchase and got this receipt, Document 5. 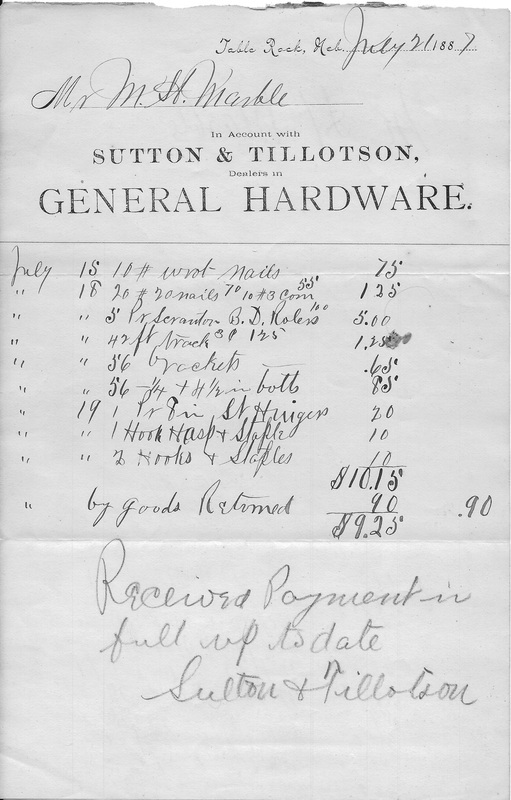 "Sutton & Tillotson, Dealers in General Hardware." It is Document 5.